A large new study spearheaded by researchers with the National Institute on Aging that involved scientists from more than 50 different institutions worldwide – including 23andMe – has found new genetic risks for Parkinson’s disease. Published in this week’s Nature Genetics, the study is significant for both its size and its findings. It is the largest Parkinson’s genome wide association study (GWAS) ever done, looking at more than seven million variants in about 13,000 patients with the disease. The researchers used the data from more than 100,000 people without Parkinson’s who were used as controls. 23andMe contributed data from more than 4,000 of our customers with Parkinson’s and about 62,000 without the disease who all consented to participate in research. Along with replicating more than two dozen known genetic associations with Parkinson’s the researchers were able to find half a dozen loci in genes previously unknown to be associated with the disease – SIPA1L2, INPP5F, MIR4697, GCH1, VPS13C, and DDRGK1. What’s interesting about these variants is that they are located in genes that are associated with DNA methylation, one of the processes which control gene expression. 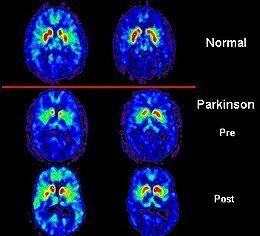 The results indicate that gene regulation in the brain plays an important role in the development of Parkinson’s disease progress. The newly discovered loci also have other known associations with disease. For instance, INPP5F, has been found to be associated with late onset Alzheimer’s disease, VPS13C is associated with some neurodegenerative diseases, while GCH1 has been associated with the onset of early and atypical Parkinson’s disease. The researchers in the study, led by Andrew Singleton, were able to find these previously missed genetic associations because they used such a large sample size, combining all existing genotype data on Parkinson’s disease. The success of this effort helped researchers conclude that ever-greater detail on genetic risk can be found by gathering ever larger study sample sizes. 23andMe’s contribution to this study was made possible through the participation of the more than 10,000 people in 23andMe’s Parkinson’s Research Community, the world’s largest cohort of genotyped Parkinson’s patients. It was also made possible because of 23andMe customers, who do not have the disease but have consented to participate in research. Thank you.